I just chanced upon a martial arts magazine for instructors and school owners. It is filled with gimmicks and tricks to get more money, aah, I mean students in your schools. I have read about these ideas before; ice cream parties, barbecues, gifts for students who bring a friend for a free tryout lesson, all sorts of rewards for kids who bring prospective students into your doors. Now lets' set a few things straight right at the start; Unless teaching is just a hobby or if you are independently wealthy, we all need to make a living. The gimmicks, as cheesy as they are, do not imply that the quality of instruction in these places is below standard. Still, I do not care for these "programs". This reminds me of the time I worked at the bank in Jerusalem, Israel. We had a staff meeting where they tried to pick our brains and get ideas as to how to bring in more foreign currency. The idea being that many tourists come to Israel while they are here we need to find a way to encourage them to open accounts in Israel and leave us as with as much of their money as possible. My fellow employees were filled with great ideas; Lets' give them free T shirts with the name of our bank. Lets' give them pens with our name and logo. Let's leave a post card and small gift in their hotel room inviting them to the bank for a free cup of coffee. Great, the managers loved every idea, and then I spoke. That is where my career in the bank took a turn for the worse. I said the following, "I recall when my dad of blessed memory came to Israel on a visit. He had only ten days but he wasted several of those days at the bank. The service was slow and inefficient and he had to return several times until his business was settled. Now our tourists do not need a free T shirt; they can easily buy one for a few shekels. They do not need a post card, a pen, or a free cup of coffee. What does matter to them is time and service. They need to have their time treated with respect. They do not want a run-around, they want service, service, service. Nothing else will do." My criticism and "negative" attitude were not appreciated. Well, it was not long until my career came to an end; I was not a team player, apparently, and I did not understand "on which side of the desk I was sitting". 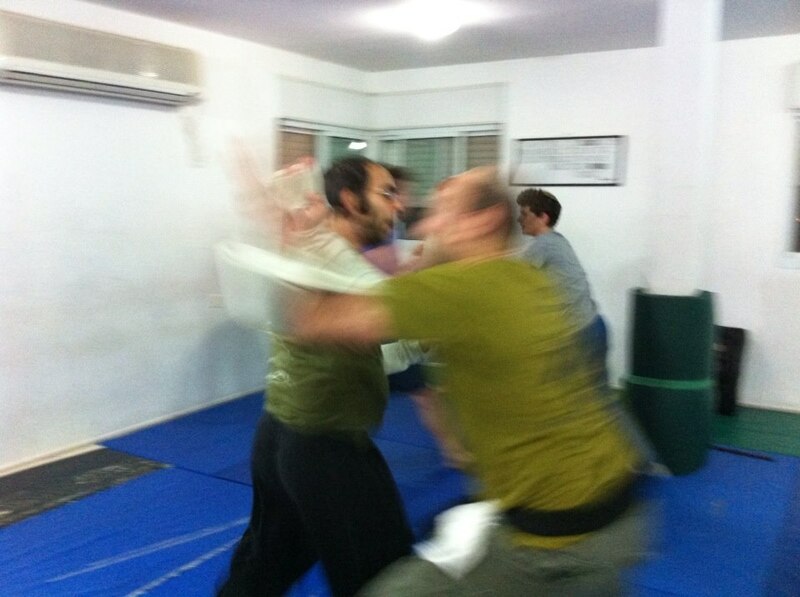 Back to Krav Maga. I have only one "program" I offer; I try my very best to give you the best Krav Maga training I can. That's it. I try to answer your questions as fast and as well as I can. I try to "over deliver"; give you more than you paid for and more than you expect. I try to anticipate dangerous situations and offer effective solutions so you can stay safe. And if you come to my house you are certainly welcome to that free cup of coffee, but I have no IKI pens (Annie, perhaps we should talk about that...).